Interest abounds in the work of the Transcendentalists, such as Emerson, Thoreau, and Bronson Alcott. Each year, tens of thousands of readers rediscover Transcendental thought in books and articles, and in visits to historic sites, such as Walden Pond. But few appreciate the truly mystical and contemplative qualities of the Transcendentalists, and the spiritual movements and figures they have since inspired. As Richard G. Geldard-one of today's leading scholars of Emerson-illustrates in TheEssential Transcendentalists, Transcendentalism adds up to a school of practical spiritual philosophy that aims to guide the individual toward inner development, much like that of Stoicism in Western antiquity. This current of New England mysticism has influenced modern-day luminaries as diverse as essayist Annie Dillard and Ernest Holmes, founder of the worldwide Religious Science movement. 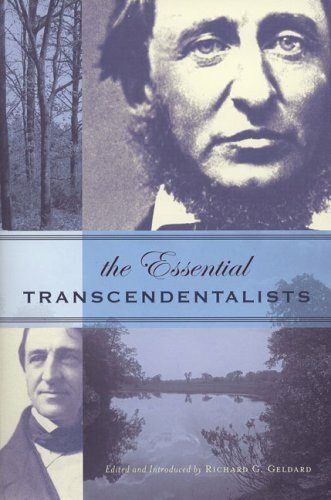 Through revealing commentary, historical overview, and selections from classic works, The Essential Transcendentalists provides a distinctive and heretofore neglected examination of the spiritual breadth and depth of "Yankee mysticism."